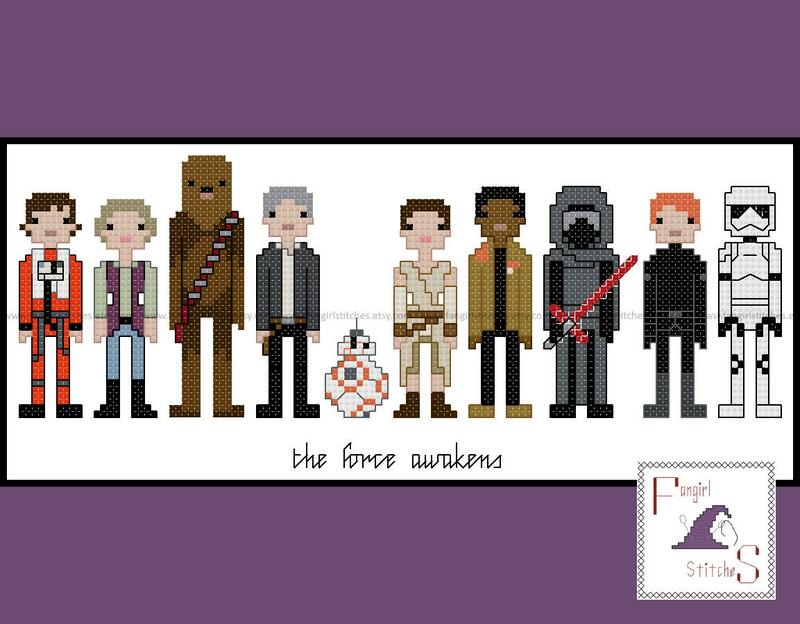 This cross stitch pattern features the main cast of the latest Star Wars film "Episode Seven: The Force Awakens". This design includes whole stitches, fraction stitches and back stitch, and is suitable for beginner stitchers. The pattern comes with two colour charts, including a guide for starting and finishing your project. The main floss key is in DMC. Conversions have been included for Anchor threads, although of course you can adapt it to suit your preferred brand of thread, or those left-over threads you have on hand. Love her patterns - well detailed every time! its Star Wars, need I say more? these are the best patterns I've found so far that i really like. Exactly what I wanted. My nanny baby is into Star Wars and he will be so pleased to have the completed project.